Accidents can happen to even the most controlled kitty! But, if your pet’s bathroom behaviour has changed noticeably, it’s time to investigate the cause. Unusual bathroom conduct can be unpleasant but it can be a sign that your furry friend is unhappy, stressed, being territorial - or that they’re feeling poorly, so it’s important to understand what’s going on. 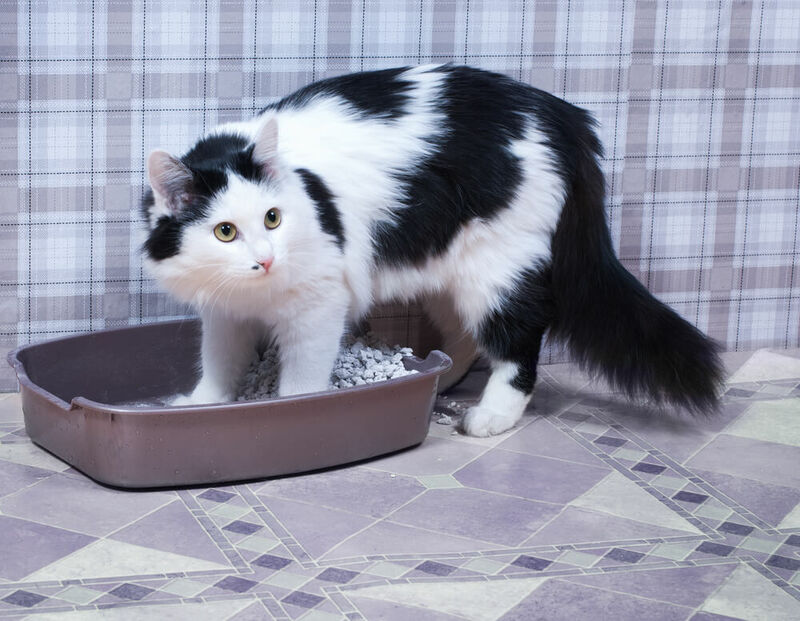 To help you find out how your cat is feeling, we’ve listed 5 common reasons your cat might be urinating outside of their litter box. Did you know your cat is a little bit of a control freak? Cats love to have their own routines and purrfect lifestyle - so anything that interrupts their schedule can make them feel anxious or stressed. To gain back a feeling of contentment and control in their environment, a common stress response is to urinate in unexpected places. So try to find out what might be concerning your kitty, and make sure you keep them to a regular routine. For example, you should always feed your cat at the same time each day, and if your cat is an outdoor explorer, be sure to keep their outdoor time to a set schedule. Sometimes unexpected urinating is a way for your cat to say that they’re not feeling happy. There are lots of things that can affect how our pets feel, so it’s important to understand what is causing stress. Contact with other neighbourhood cats - who they may see through the window, in their territory and could be scaring your kitty! So if your cat is spraying or urinating on furniture, against walls or in other unusual places, try to figure out if something is worrying them. Stress can create other problems too, such as widespread house scratching and kitty conflict. 3. The Litter Box Isn’t Up To Scratch! Cleanliness. Cats are very clean creatures and prefer to do their business in a tidy, fresh place! Make sure you keep their litter boxes scooped frequently - at least daily; and always after each kitty use. Litter boxes should also be cleaned fully at least weekly. Access. Can your kitty always access their bathroom area? 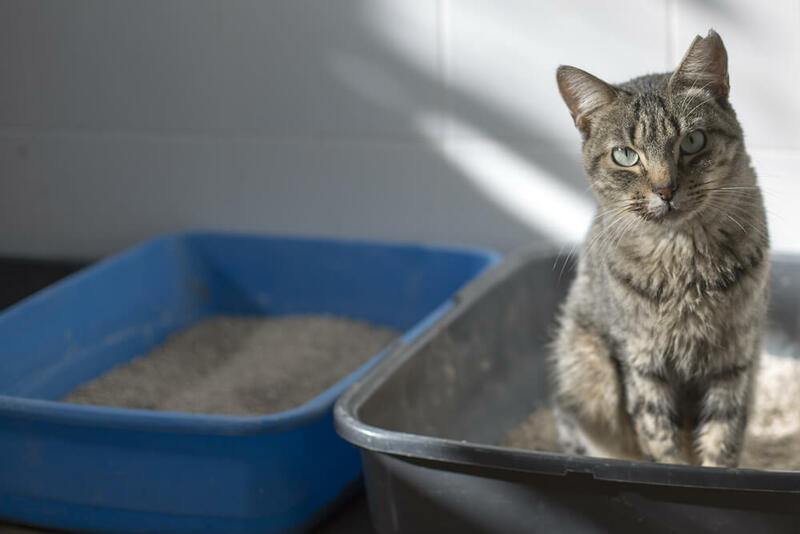 Litter boxes should always be kept in an accessible area, and should be easy to reach - especially for elderly cats who may not be as mobile as they used to be. Location. Does your cat have a quiet, private space to go? In addition to accessibility, location is an important factor; make sure litter boxes are set in a spot where your cat won’t be disturbed, and keep them away from food and water areas. 4. You’ve Got A Return Offender! Does your cat return to the same spot in the house to do their business? They might have developed some new and unwanted habits! If your cat has already urine marked in an inappropriate spot, they may be tempted by the scent to return and re-mark the area. Make sure you clean these areas thoroughly to discourage your cat - but avoid bleach or other ammonia-based cleaners as they can attract your furry friend back to the same spot! 5. Your Kitty Isn’t Well! While a sudden change in behaviour can be caused by stress or environmental changes, it’s important to check that your cat is healthy and well - illness or old age are common causes of inappropriate urinating. It’s important to always check with a vet to rule out any medical issues, such as a water infection, that might be affecting your pet. Whatever the cause of unexpected kitty urinating, creating a calm, secure and loving environment is a great step to limit unwanted habits. Using a FELIWAY CLASSIC Diffuser is a clinically proven way to create a comforting space for your cat, and stop urine spraying within 7 days. As a clinically proven solution, the diffuser can ensure you and your kitty are happy together, creating a more supportive loving kitty/human relationship!